Made in brass and finished in chrome, satin nickel, gold, or chrome/gold. 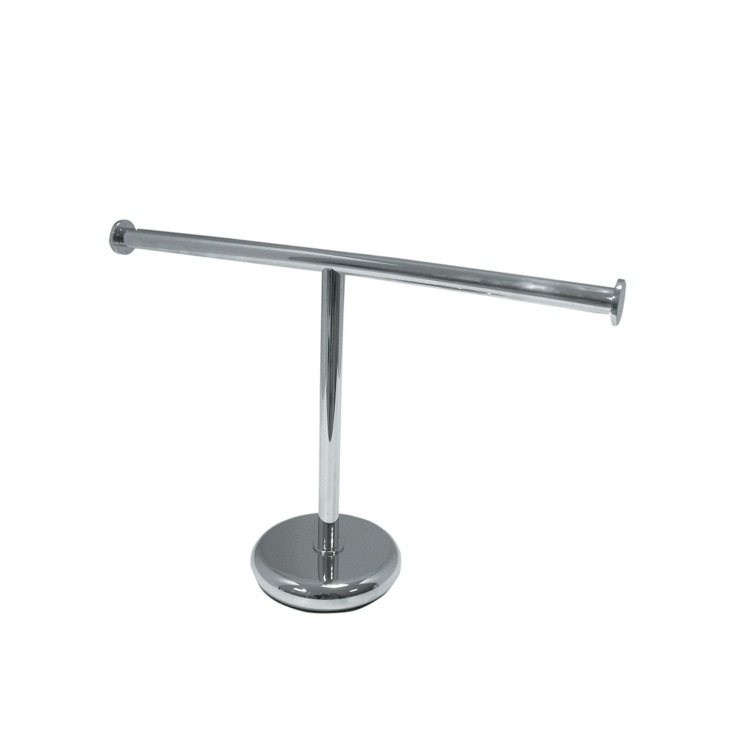 This round free standing towel rack (part of the Stilhaus Fluyd collection) will compliment your contemporary master bath. Made in Italy by Stilhaus.